Rumble / Trending News - 106 year-old Virginia McLaurin dances with Barack and Michelle Obama at a White House reception to mark Black History month, telling them it&apos;s been her life-long dream to visit the White House. Credit to Reuters. 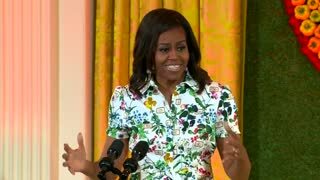 Obamas host "Kids' State Dinner"